I recently took a very exciting trip for almost 3 weeks to Valhalla Farms in Wellborn, Florida. This was my first time to Florida and to Jean Brinkman’s 600 acre farm. A Trakehner is a Warmblood horse originating from Prussia. 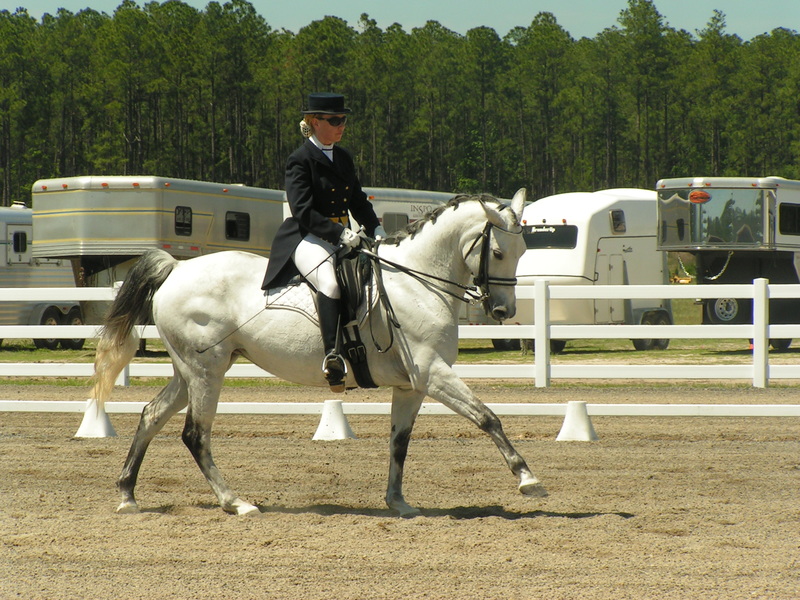 Jean Brinkman has been breeding Trakehners since the early 70’s and helped start the American Trakehner Association (ATA), which is amazing! I met Jean in November of 2008 at the ATA annual meeting in Los Angeles which I attended with a few of my horses. I told Jean I knew I had a lot more to learn about the breed and she very kindly invited me to come to her farm to learn. After I got home from Los Angeles I figured out the best time to go down there and arranged the trip with her. I was gone from April 3rd – 21st and had an amazing time! Flying into Florida was the only horrible part about the trip. I left Montana at 9:00 am and didn’t arrive in Jacksonville until 5:00 am the next day due to the storms over Jacksonville. I stayed in a hotel at the airport and got maybe 5-6 hours of sleep then took a shuttle to the Jacksonville Equestrian Center to meet Jean and her Dressage trainers who were competing for the weekend. 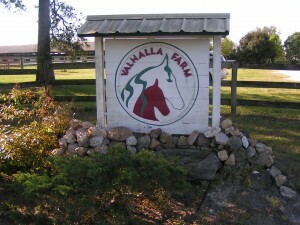 It was definitely a great introduction to the trip seeing the talented horses and riders from Valhalla at their best. 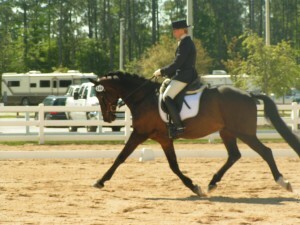 Competing for the weekend was Erin Brinkman on Imminence a young newly approved stallion owned by her mother Jean. 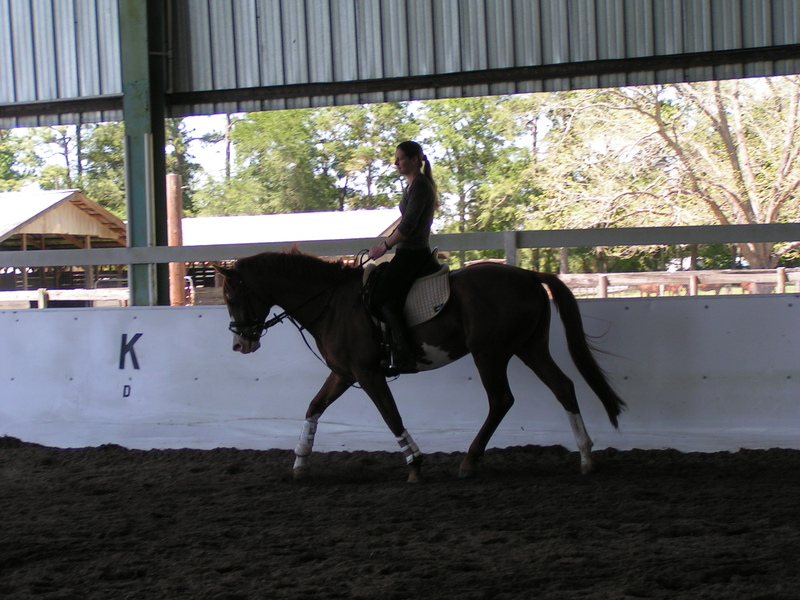 Erin was also there with two of her dressage students so I was able to watch her coach them and compete on one of the horses. She placed 1st in all of her classes for the weekend which was very impressive! 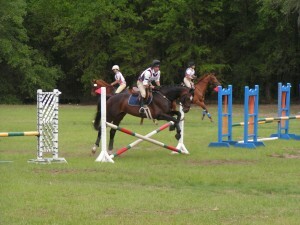 Also competing for the weekend was Iris Eppinger and her working student Anna Franklin. Iris was riding Prix St George on one of Jean’s mares Aura and did very well! 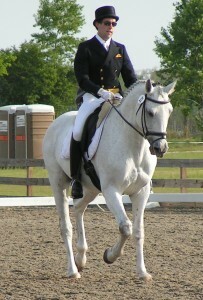 Iris also rode a client’s horse Etoile who was purchased from Jean and the owner kept the horse in training at Valhalla. 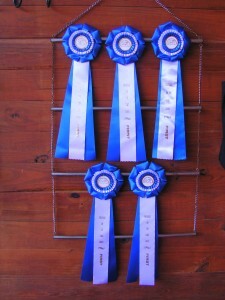 Anna rode her horse Walden at 1st and 2nd Level and won 1st place. 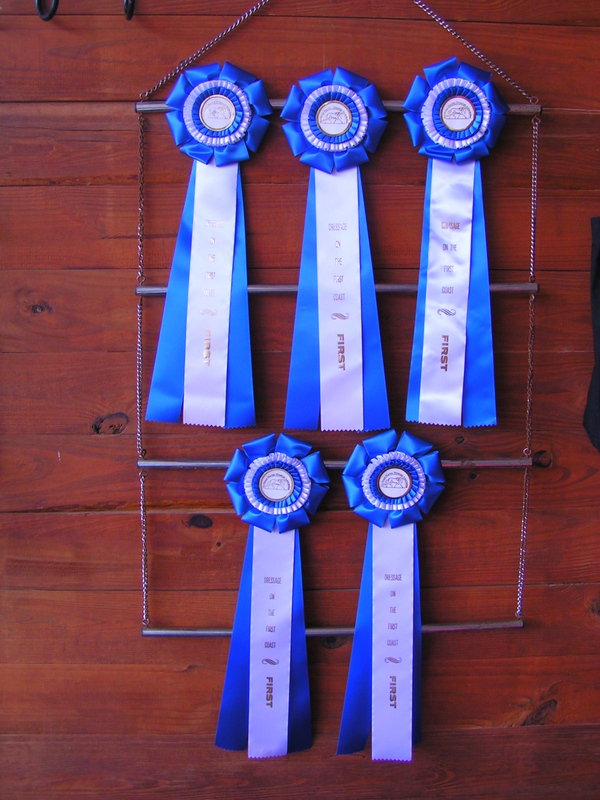 To say the least there were a lot of blue ribbons hanging around our stalls. 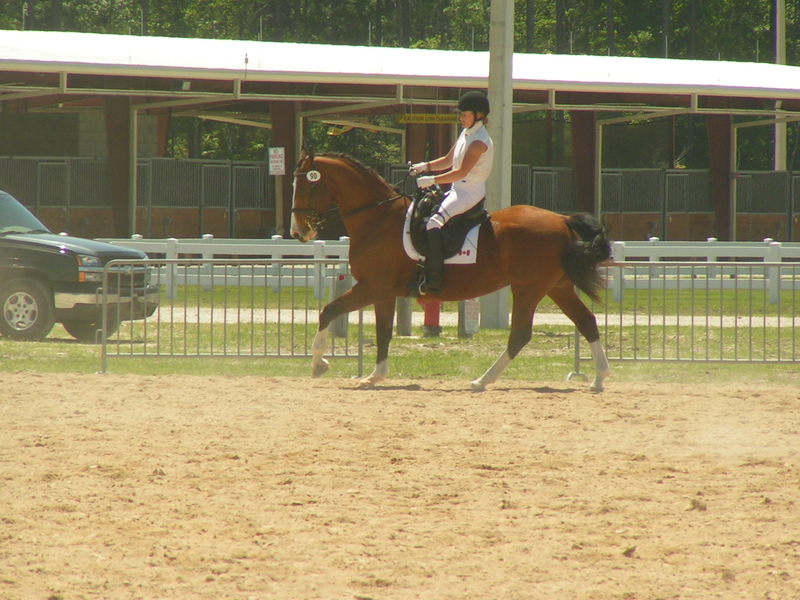 It was an exciting weekend and I was able to see a lot of nice horses and riders. I was also able to meet Lauren Barwick, a Parelli paralympic rider who rode Dressage in the 2008 Paralympic Games in China last summer. She was competing on the same horse she took to China and a new chestnut horse. After 3 exciting days in Jacksonville I drove to the farm with Jean in her huge RV which we slept in for the weekend. When we arrived she gave me a tour of her huge farm which I believe I mentioned is on 600 acres!! Her wonderful husband who is a retired vet cares for a herd of cattle and bales tons of hay for the horses. He also has lots of fun construction projects including a guest house in a tree! I have to admit there is no way I can remember all the names of her 100+ horses but they were all very impressive and well mannered. Jean has done an amazing job of breeding performance horses that are easy to train, compete and care for. I loved meeting all of her wonderful stallions including Stiletto, Hailo, Hilife, Imminence, Incantare and Erin’s stallion Donaufurst. On Jean’s property are several cute houses where her staff stay. I was able to share a house with Iris, (mentioned above) we had a great time rooming together. I was able to pick Jean’s brain and talk with her about breeding and I learned many valuable things for my program. She told me the most important thing she learned in breeding the best horses was to RIDE! If you know how to ride well and ride a lot of horses you can figure out what kind of performance horse you should be creating. So I did just that, I worked with Iris most of the time I was there and she gave me daily Dressage lessons which was an incredible experience. 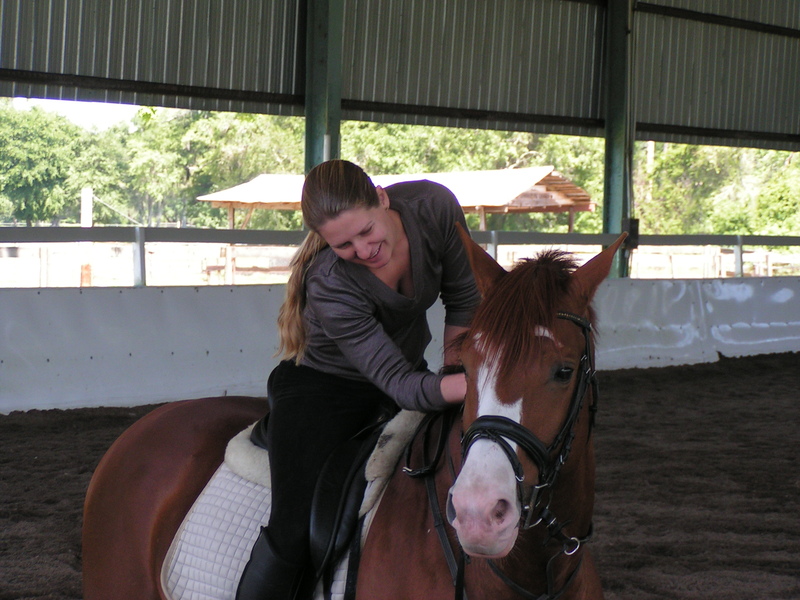 She helped me improve my riding and inspired me to do a lot more with my own horses. 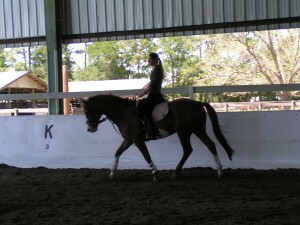 I learned a different way to lunge, how to free jump and many physical stretches for horses. While I was there a new foal was born! 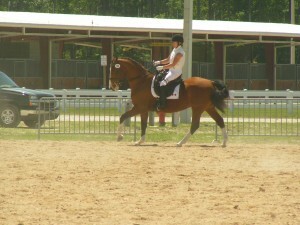 She is 1/2 Trakehner and 1/2 Arabian and so cute! 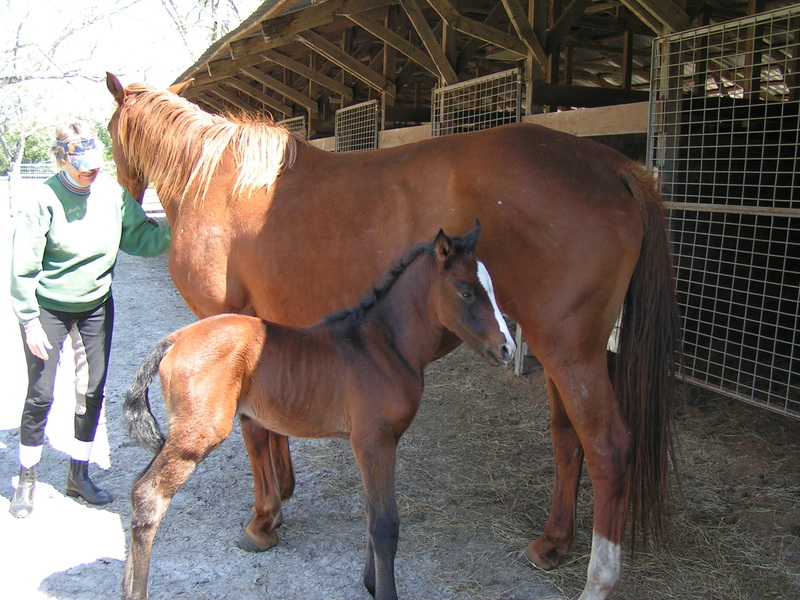 She actually belongs to Andrew Palmer, one of the trainers at Valhalla Farms. I loved spending time petting her and getting her used to humans. 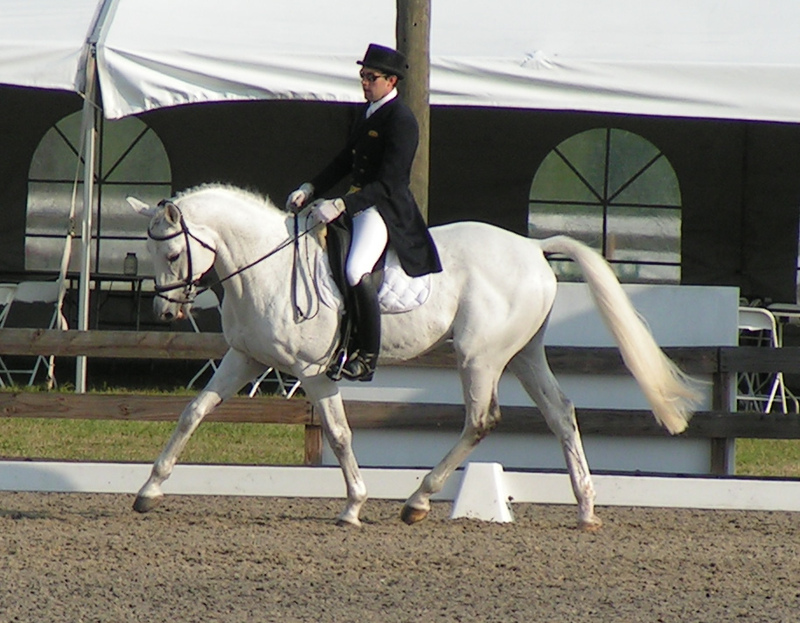 I was given a chance to ride a few very nice stallions including Donaufurst who was trained to Grand Prix. The first time I took him out was on a trail ride with a few other horses and he insisted on being the head of the pack. He had a very interesting way of telling me this which was cantering in place, piaffeing and passaging! I was pretty shocked and thrilled to be feeling those movements. Later in my trip I was given a proper lesson on him and was able to feel several flying lead changes as well! The other stallion I was given the chance to ride was Hilife. I really enjoyed all the trail rides which took us through their old cross country course and across their nice pastures. One day we even swam in a large pond which they created on their land. 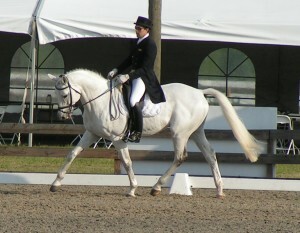 My last weekend there I went to a 3-Day event in Ocala and assisted Andrew Palmer with 2 stallions he was competing with. 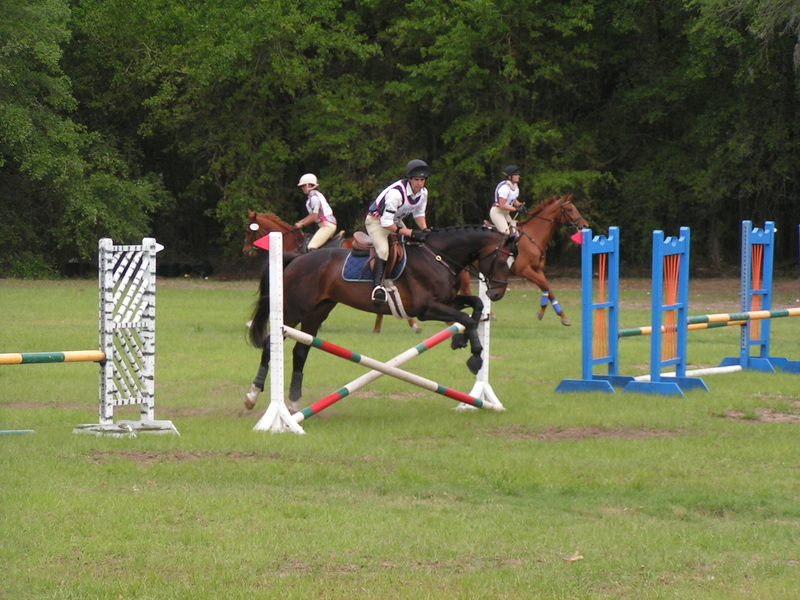 I had a blast being surrounded by the eventing world and learning as much as I could about it. It was 4 very fun and exhausting days with a lot of walking due to the widespread facility. Andrew did very well on Stiletto, owned by Valhalla and Inamorato, owned by Tina Potter. Tina and I had a great time helping Andrew all weekend, she was like a mother feeding us, driving us around and even sharing her hotel room with me.